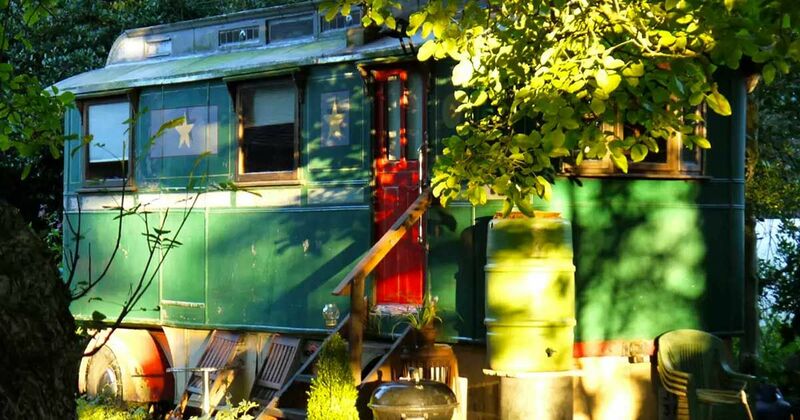 Set in small the rolling hills of the English riverbed countryside - this renovated Showman's caravan is an idyllic escape. 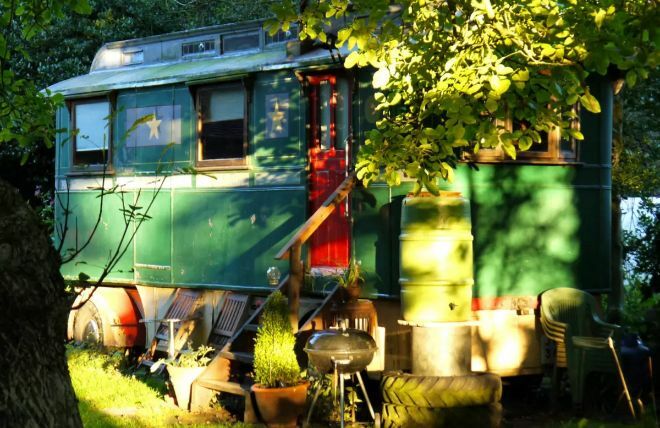 Boasting very own private garden, this vintage camper is for rent in the area of Yorkshire Dales, the Hambleton Hills and Moors - otherwise known as "The Golden Triangle." 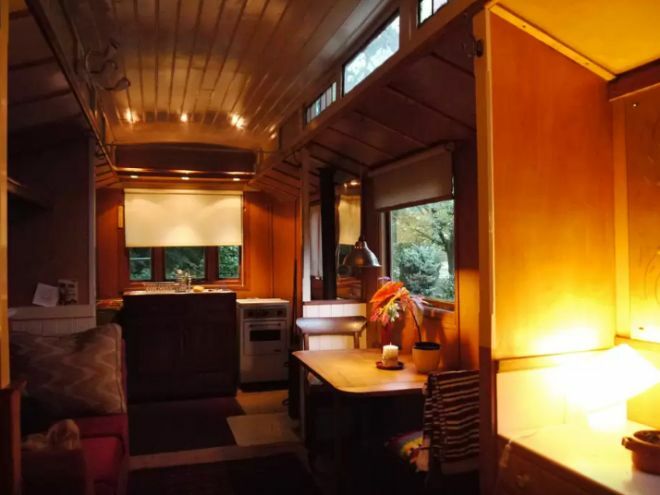 With a cozy interior, a wood burning stove, and a clawfoot tub for a good soak - you may not even want to venture out of your rustic retreat to see the rolling hills, charming cottages, and palatial abbeys that line these back country roads. Inside you're welcomed with a roaring wood burning stove, and a cozy country interior. 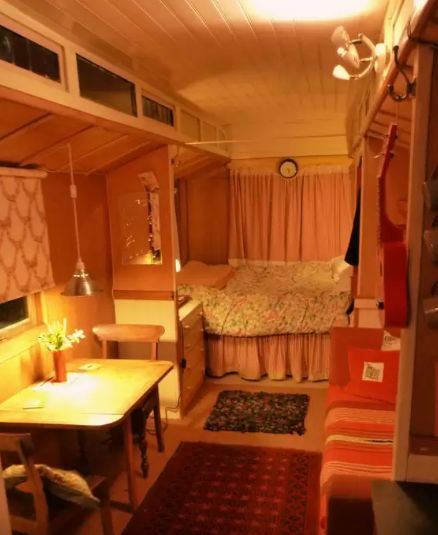 This renovated caravan has beautiful wood walls, and fully functioning kitchen - as well as a spot to enjoy a nice home cooked meal if you decided not to go to the pub down the road. 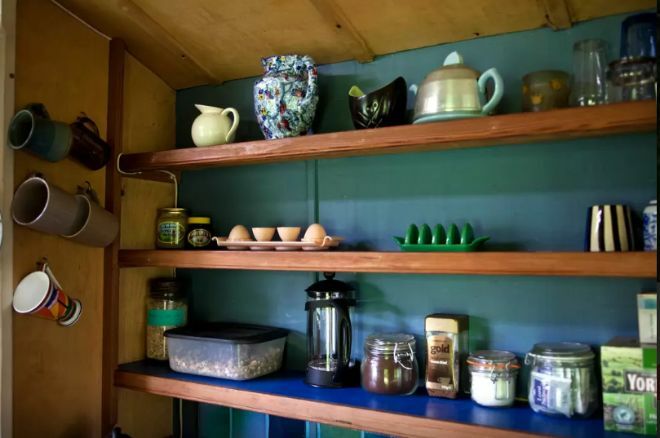 The kitchen is also fully stocked with all the kettles, and tea you'll need to enjoy the English countryside properly. The caravan also has a full size bed tucked in the back. Blanketed in fresh cotton linens and thick curtains to keep the morning light out - this is the perfect spot to get away from the rest of the world. This might be the best, and most unique feature yet. 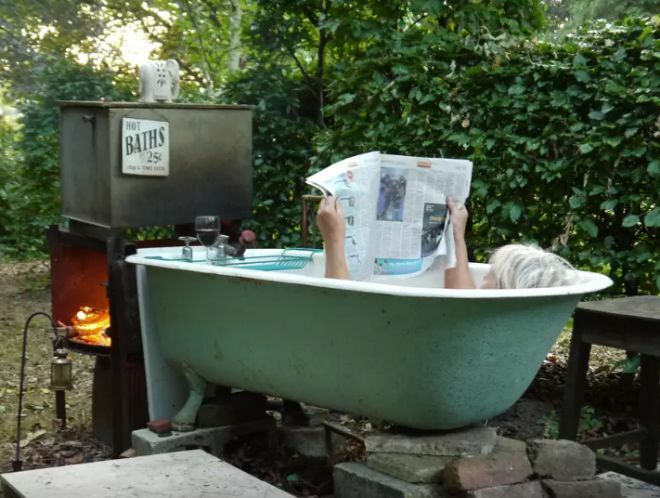 Outside, in a secluded wooded area, there's a clawfoot tub that's fully heated by its very own wood burning stove. Grab a glass of wine and a good book, and you could sit here until you prune. SHARE this incredible English countryside retreat on Facebook.